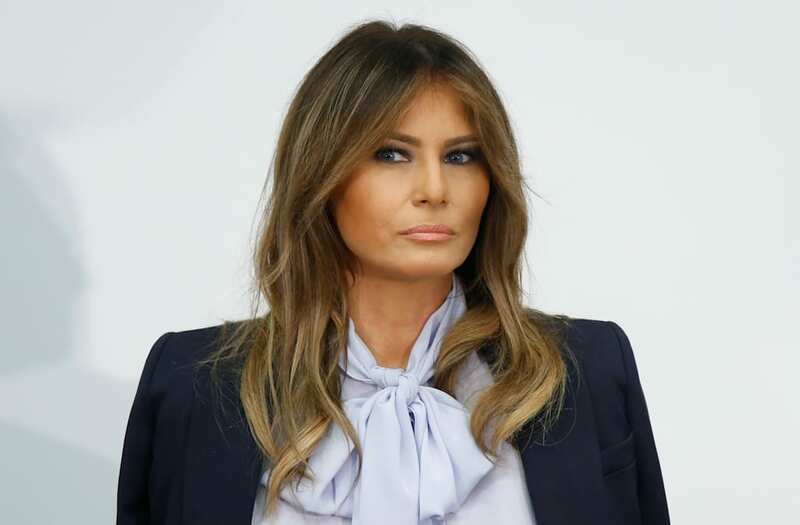 WASHINGTON — First Lady Melania Trump said social media “can be used in many positive ways, but can also be destructive and harmful when used incorrectly,” as she continued one of her signature initiatives: kids and cyberbullying. She delivered the speech at a cyberbullying prevention summit, held just outside of Washington in Rockville, Md., where she was joined by representatives from various tech platforms, including Twitter, Facebook, and Google. While her remarks focused on children, many journalists couldn’t help but bring up the irony of the moment. Her husband, President Donald Trump, continued his attacks Monday morning on Twitter, this time aimed at John Brennan (“the worst CIA director in our country’s history”), Bob Mueller (“disgraced and discredited”), and Justice Department official Bruce Ohr (“a total joke”). The first lady did not directly address Trump during her appearance. She unveiled her Be Best campaign, focused on the needs of children, in May. “Let’s face it. Most children are more aware of the benefits and pitfalls of social media than some adults, but we still need to do all we can to provide them with information and tools for successful and safe online habits,” she said at the event.